CapitaLand Commercial Trust (CCT)'s 3Q17 DPU of 2.36 Scts (+2.6% y-o-y) before impact of rights issue in line with expectations. Acquires Asia Square Tower 2 for S$2,689 psf, below the average S$2,917 psf for other Marina Bay buildings. First increase in spot office rents in 3Q17 to trigger the next leg in CCT’s share price rally. 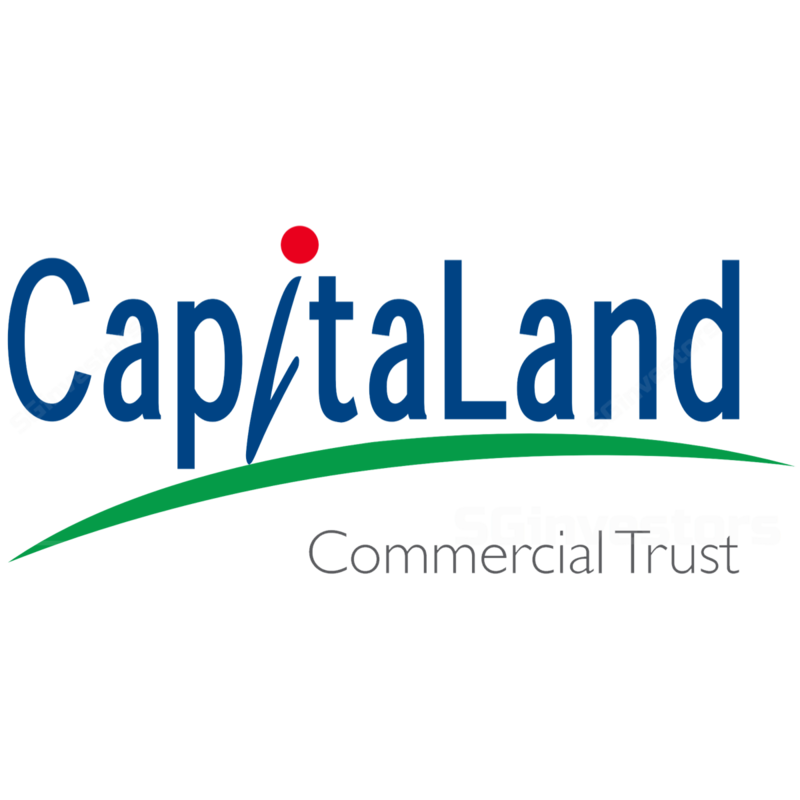 We maintain our BUY call on CapitaLand Commercial Trust (CCT) with a revised TP of S$1.80. While there is some disappointment over the short-term dilution to CCT’s DPU post the acquisition of Asia Square Tower 2 (AST2) and rights issue, we believe this can be tempered by the distribution of c.S$170m worth capital gains. In addition, once investors appreciate the benefits of CCT’s asset recycling strategy, namely an improvement in the quality of its portfolio through reducing its CBD fringe exposure and expansion into Marina Bay, the re-rating since 2016 should continue. Where we differ – To trade above book. Consensus’ target prices are at a discount to CCT’s current book value of c.S$1.75 (post AST2 and recent rights issue). However, we believe this is unwarranted, given CCT has demonstrated the conservative valuation of its properties, through the sale of three office buildings at 14-39% premium to book. This understated valuation remains in such buildings as Capital Tower and 999- year leasehold HSBC Building, which are priced at S$1,845 and S$2,275 psf respectively, a significant discount to recent transactions of S$2,400-S$2,700 for comparable buildings. Thus, in our view, CCT can trade at a premium to book. With office rents rising in 3Q17 for the first time in ten quarters, we expect increased investor interest in CCT on anticipation of a recovery in the office market to trigger a further rally in CCT’s share price. This share price pattern would be consistent with prior episodes where CCT’s share price led spot office rents by 6-12 months. After incorporating the acquisition of AST2 and rights issue, we lowered our DCF-based TP to S$1.80 from S$1.85. Key risks to our positive view are weaker-than-expected rents, and/or CCT not distributing capital gains, causing DPU to come in below expectations as well as investors focusing more on underlying DPU rather than headline DPU. CapitaLand Commercial Trust (CCT)'s 3Q17 DPU came in at 2.36 Scts (+2.6% y-o-y) which represented 26% of our original FY17 DPU forecasts and was in line with expectations. As CCT pays semi-annually, the actual 3Q17 DPU paid will be lower owing to the recent rights issue which will be completed in October. Incorporating the rights units, the reported adjusted 3Q17 DPU would be 2.02 Scts. Based on CCT’s estimates, the adjusted 3Q17 DPU would be up 6.9% y-o-y from the 1.89 Scts in 3Q16 (assuming the addition of 3,094m rights units to 3Q16 outstanding units). However, using a rights adjustment factor to 3Q16, adjusted 3Q17 DPU would have fallen 9.5% y-o-y. Underlying NPI was robust in 3Q17, rising 2.7% y-o-y. The improvement was largely attributed to CCT’s timely decision to acquire the remaining 60% interest in CapitaGreen at end September 2016 as well as lower property taxes due to a reduction in assessed value by the Inland Revenue of Singapore Authority. These factors offset the loss of income from the divestment of a 50% interest in One George Street (OGS – CCT retains a 50% interest) on 19 June 2017 as well as the sale of its 100% interest in Wilkie Edge and Golden Shoe Car Park on 11 September and 12 July 2017 respectively. On a 100% basis, OGS had a strong quarter with 3Q17 NPI increasing 22% y-o-y. This was due to an improvement in effective occupancy. Committed occupancy of the building now stands at 98% versus 91.3% and 96.6% in 2Q16 and 3Q16 respectively. Meanwhile, contribution from 20 Anson fell 29.5% y-o-y because of increased competition from new office supply. Committed occupancy for 20 Anson now stands at 86.1% versus 98% in 3Q16 but has since improved from 84.2% at the end 2Q17. Earnings for CCT’s other properties were relatively stable over the quarter. Overall portfolio occupancy at end 3Q17 remains healthy at 98.5% versus 97.4% in 3Q16 and 97.6% in 2Q17. Similar to prior quarters, CCT was able to achieve signing rents that were above the respective sub-markets rents. Nevertheless, even with spot rents starting to recover in 3Q17, CCT still reported negative rental reversions. At Six Battery Road, it achieved committed rents of between S$9.77-12.50 versus average expiring rents of S$11.88 and submarket rents of S$8.61-9.34. For OGS, it signed rents of between S$8.63-9.25 versus average expiring rents of S$10.65 and submarket rents of S$8.25-8.61. Subject to the pace in recovery in spot rents, risk of negative rental reversions continuing going forward remains moderate to high, given average expiring rents for 1H18, 2H18 and 2019 stand at S$11.34, S$10.96 and S$10.24 respectively versus current Grade A core CBD rents of S$9.10. For the remainder of 2017, CCT faces minimal tenancy risks with only 1% of office leases up for renewal (by GRI). However, this steps up to 12% and 33% of leases up for renewal in 2018 and 2019 respectively. CCT recently announced the highly anticipated acquisition of Asia Square Tower 2 (AST2) for S$2,094m at an implied S$2,689 psf of NLA which is at the discount to the independent valuation by Knight Frank of S$2,110m or implied $2,710 psf. This is also a discount to the average valuation of other buildings in the Marina Bay area of S$2,917 psf. Furthermore, based on the recent Beach Road land tender which implies a price of over S$3,000 psf for a completed office, the acquisition price for AST2 appears favourable. The acquisition NPI yield is 3.6% based on a committed occupancy rate of 88.7% as at 30 June 2017. AST2 is a 46-storey premium Grade A office building with a two-storey retail podium in the Asia Square integrated development located in Marina Bay. Completed in September 2013, the building has another 89 years remaining on its 99-year leasehold. Total NLA stands at 778,719 sqft comprising 753,445 sqft of office space and 25,274 sqft of retail area. Major tenants include Allianz and Mizuho. WALE of AST2 is 3.5 years by committed gross rental income. For the remainder of FY17, 2% of leases are due to be renewed, with another 10% and 23% of leases set to expire in FY18 and FY19 respectively. Based on the WALE of AST2, we estimated the expiring leases in FY18 to range between S$11-14, which may result in CCT reporting negative rental reversions. Nevertheless, this is expected to be offset by higher occupancies. The acquisition of AST2 will be funded through a combination of a S$700m right issue, S$1,120m of borrowings and part of the proceeds from the divestment of 50% interest in OGS and 100% stake in Golden Shoe and Wilkie Edge worth c.S$340m. Approximately 513.5m right issue will be issued based on a right ratio of 166 rights units for every 1,000 existing units. The rights issue price was S$1.363 per unit. The net proceeds from the rights issue is approximately S$690m. We are generally positive on CCT’s asset recycling strategy that it has executed this year. In particular, CCT has improved its portfolio by reducing its CBD fringe exposure and trading up in quality and age of its properties by recycling the proceeds from its asset sales into AST2. The two properties sold this year, OGS and Wilkie Edge were completed in 2005 and 2008 respectively compared to AST2 which was completed in 2013. Furthermore, post the purchase of AST2, the proportion of Grade A properties improves to 69.9% from 62% previously. CCT has also shown a keen eye for value by selling a 50% stake in OGS and 100% interest in Wilkie Edge at an exit yield of 3.2% and 3.4% respectively and recycling the proceeds into AST2 on an NPI yield of 3.6%. Additionally, by acquiring AST2, it can for the first time offer a Marina Bay location to its tenants. Without AST2, in the medium term, CCT may be at a strategic disadvantage should its tenants decide to move to Marina Bay, Singapore’s new CBD. While we expect dilution to underlying FY18 DPU of between 3-4%, given the impact from the rights issue to partially fund AST2, we believe investors should look beyond this short-term dip, given the positive medium term benefits to the REIT. Furthermore, the dilution can be easily mitigated, resulting in a stable y-o-y DPU as CCT has c.S$170m worth of gains from the sale of 50% interest in OGS as well as 100% stakes in Wilkie Edge and the Golden Shoe Car Park. Moreover, with the liquidity and market cap in CCT expected to improve post the rights issue, in the medium term there is also potential for CCT’s yield to compress over time. Finally, we believe the acquisition of AST2 is timely as it increases CCT’s exposure to the Singapore office market which is expected to be on an upturn over the coming 3- 4 years on easing supply. CCT’s average cost of debt as at 30 September was 2.6%, marginally down from 2.7% in the preceding quarter. Approximately 85% of its debt was also hedged. Meanwhile, aggregate leverage as at end 3Q17 stood at 33.9% down from 36% as at end 2Q17, primarily due to the repayment of loans following the sale of Wilkie Edge and Golden Shoe as well as the conversion of convertible bonds into units. However, post the acquisition of AST2, we expect gearing to stabilise around the 37-38% level. NAV per unit (excluding distributions) was at S$1.82 or S$1.75 on a proforma basis including the recent rights issue and acquisition of AST2. After incorporating the recent rights issue, acquisition of AST2 and the better than expected performance at OGS, we trimmed our FY17-18F DPU by 3%. Nevertheless, we expect CCT to maintain a stable DPU of 8.81 Scts over the next couple of years, consistent with FY16 DPU of 8.81 Scts (after applying the rights adjustment factor) given its ability to temper any near-term pressure on earnings due to negative rental reversions and short-term dilution from the AST2 transaction as it has c.S$170m worth of capital gains to distribute. We likewise have also lowered our DCF-based TP to S$1.80 from S$1.85. With over 13% total return expected over the coming 12 months, we maintain our BUY call with a revised TP of S$1.80. Following the acquisition of AST2, we believe CCT’s portfolio quality has increased a notch. We are entering the next upturn in CCT’s share price in our view, as the expected recovery in office rents should drive further investor interest in CCT, plus CCT is trading below its conservatively valued book.